Old Man Markley Stupid Today 7" out now! 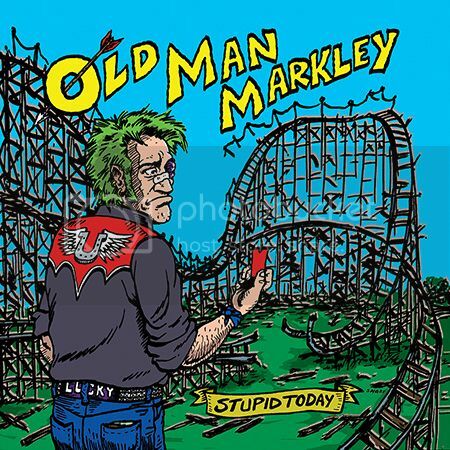 We have a brand new Old Man Markley single, Stupid Today which is available now! The release features two brand new songs: the title track is the a-side and an OMM original while the flipside pays homage to their love of NOFX with a cover of “Reeko”. Artwork for the 7" was created by the talented Chris Shary (Descendents, Snuff) and you can pick it up here, or from the band at one of their dates below!